The Big Carrot has been advocating against Genetically Modified Organisms (GMOs) in our food system for more than two decades. Much has changed in that time. Consumer awareness about Genetically Modified Organisms is at an all-time high. In fact, a recent report from the Hartman Group found that 97% of shoppers are aware of GMOs, and of that group, 42% are looking to avoid GMOs. The most trusted and simple way to avoid GMOs is to choose Organic or Non-GMO Project Verified products. Access to verified choices is not all that has changed; the very nature of Genetic Engineering and the resulting GMO crops is also undergoing a major shift. Until recently, we commonly understood GMOs to be transgenic crops—where foreign DNA was being introduced into the organism to create new combinations that could not occur in nature or through traditional crossbreeding techniques. Corn, soy, canola and sugar beet make up the vast majority of all GMO crops grown globally. The most widespread trait these crops are engineered to express is to withstand an herbicide (typically glyphosate). Those crops are called Herbicide Tolerant (HT). ‘Conveniently’ the companies that engineer the seed also sell the herbicide so this is highly profitable for the chemical companies who control the supply from seed to spray. The other common trait in traditional GMO agriculture is Insect Resistance. As many scientists predicted, with both types of traits pest and weed resistance is emerging and posing a real threat to this technology. Enter “new genetic engineering techniques” that promise to solve all of the world’s problems from the obesity epidemic to our reliance on animal agriculture. Technologies such as CRISPR, RNAi, ODM, gene drives and other types of so-called “gene editing” are being touted as non-GMO since they generally do not contain foreign DNA in the finished product. They are still products of biotechnology as defined by the UN Codex Alimentarius, a collection of international food standards, and pose many of the same concerns as earlier GMOs, including off targets impacts, novel proteins, and unknown health impacts from ongoing long-term consumption. Biotech companies are making a concerted effort to convince us otherwise and distance themselves from the negative consumer perception of GMOs in our food system. If magazine and news headlines are a barometer I would say, the Biotech companies were gaining traction with this premise- that a Genetically Engineered microbe could produce a non-GMO final product. However, this smoke and mirror strategy took a hit this summer when the European Court of Justice ruled that GMOs created through new genetic engineering techniques such as CRISPR and ODM are still GMOs and are subject to regulation under European law. This means products of these new technologies are to undergo consumer safety evaluations and will be subject to labeling in accordance with existing labeling laws for GMOs in the EU. The Non-GMO Project has always held a firm position that anything produced by genetic engineering is a GMO. With that foundational principle underlying the standard, they have emerged as leaders with the most rigorous standard in GMO avoidance in the industry. The Project is the only Non-GMO certification that is addressing new GMOs aggressively and comprehensively. 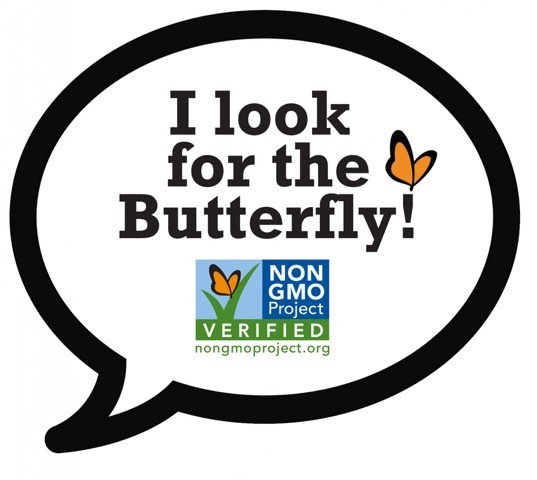 In fact, the Non-GMO Project standard has prohibited synthetic biology since 2014 and is committed to stepping up to do what it takes to keep all types of GMOs out of their verified products so that consumers can continue to trust the Butterfly. We could not be more proud to have been a founding member of this organization that continues to provide shoppers with verified Non-GMO choices in an increasingly complex food system. 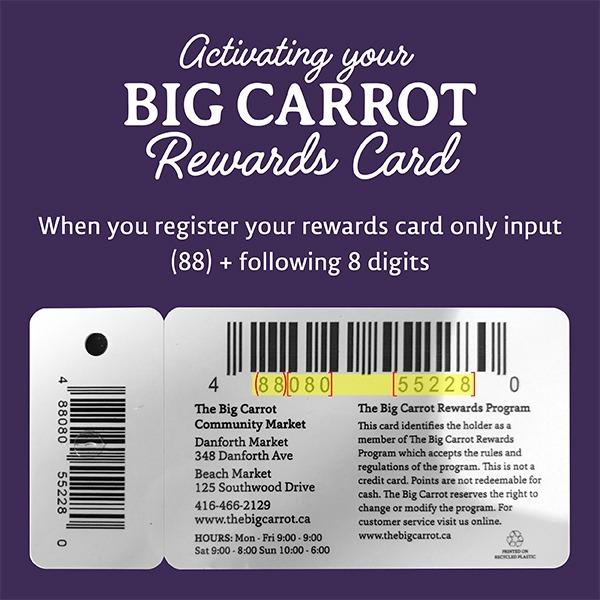 The Big Carrot carries over 7,000 third-party verified products (products that are either organic, Non-GMO Project Verified or both) making it easier than ever to celebrate Non-GMO Month.